Muslims have to follow rituals created by man. Are these instructions in the Quran? Bow like this, prostrate this way, recite this, repeat that over and over again, sit like this, fold your arms like that…. Careful, if you miss out anything, allah will reject you. Are you sure you’re facing the right direction? Forgot to wash your nostrils correctly? Start all over again! Ooops did you fart? Allah does not like that. He also hates people yawning. Make sure you don’t look up while you pray or he will take your eyes away and make you go blind. Dont you think Allah is acting like a slave master waiting to catch you the minute you want to come to pray or worship him? In an instant he can throw you into his jahannam. Did you know that even though Muhammad promised paradise to Abu Bakr, his father-in-law and best friend, said that even if he had one foot in paradise, Allah can cast him into hell. I have GOOD NEWS. The true God is a LOVING FATHER. The minute you decide to come to Him, His arms are open wide to receive and welcome you. 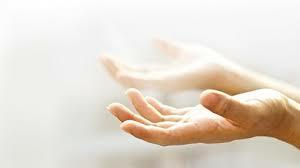 You dont have to wash your hands or your feet or take a specific posture before Father God. The only posture He looks for is humility in your heart. I can stand or sit or kneel or bow or fall face down prostrating on the ground, He accepts me. I can pray and worship my Father whether I’m driving or jogging or working or taking a shower. I can face any direction and He doesn’t mind. He doesn’t turn me away even if I fart. Why? Because He is a Father to His children. Does your human father reject you when you fart or yawn? No, because he is good and he loves you. Isn’t Allah even as good as your weak human fathers? Doesn’t he even have half the genuine love that your father has for you? God my Heavenly Father loves me. He loves you too and longs for you to accept Him as your Father too. This week marks the holy week of Ramadan. Today is the 27th of Ramadan which is the holiest night for Muslims. It is known as the Night Of Destiny, or Laylat al-Qadr (in Arabic: لیلة القدر‎‎) as many Muslims pray to God for mercy, forgiveness, blessings and salvation. Last week, a Muslim asked me “how to be saved?”. There may be others asking the same questions like “how to have forgiveness of sins.” etc. I am going to write out a prayer for you below. You can pray sincerely from your heart to God and He will hear you. This is between you and God alone. No one else. This is not about religion. Not about Christianity or Islam. This is about you entering into the Kingdom of God. I’m not talking about conversion. I’m talking about transformation – from death to life. If you think what I’m saying is rubbish and you dont believe it, that’s OK. I have written another prayer that you can use, at the end of this post. I’m sharing with you what I believe right now, so that on this Night Of Destiny, you can fully trust in God to give you a wonderful eternal destiny. If you want to enter into the Kingdom of God, Jesus is the door. If you believe that Jesus came to save you from your sins and to give you eternal life in heaven as your final destiny….Pray this prayer with sincerity in your heart to God…. Night of Destiny and open my heart to You. None of my thoughts, words and deeds are hidden from You. If you have prayed this prayer, it is between you and God. You don’t have to tell anyone publicly if you don’t want to. But I encourage you to share privately with someone you trust. If you want, you can send me or someone else a private message, and we can guide you further to know even more and to answer your questions. How to pray this prayer? Just go to some place where you can be alone. It can be in your bedroom, so you can talk to God alone in prayer. You can kneel or prostrate. God is able to hear and answer your prayer today. Perhaps some of you are already laughing or mocking. It’s your choice to reject the message of salvation on this Night Of Destiny. “O God of Abraham. You are the God of all truth. I choose to believe in Your truth alone. Does The Quran Say Jesus Died? Who Is The Good Shepherd? 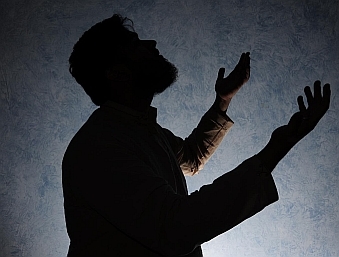 Is Allah’s Light Reflected From Muhammad? Did Jesus Tell Christians To Pick Up Snakes And Drink Poison? Why Did You Forsake Me? Can You See The Invisible? What Did The Disciples of The Apostles Teach? Who Did Jacob Wrestle With? © 2019 | FaithBrowser.com | .